Frustrated from United’s poor performance under David Moyes and then Louis van Gaal after Sir Alex Ferguson phenomenal era, Chris used this project to distract him from his team’s worst performance in years. 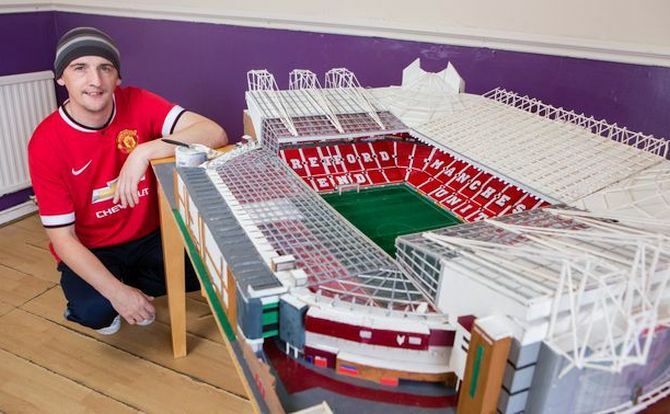 The lifelong Reds fan spent three months sweating in a shed to produce a replica of Theatre of Dreams. He spent 450 hours and used almost 5,000 matches to complete the model. 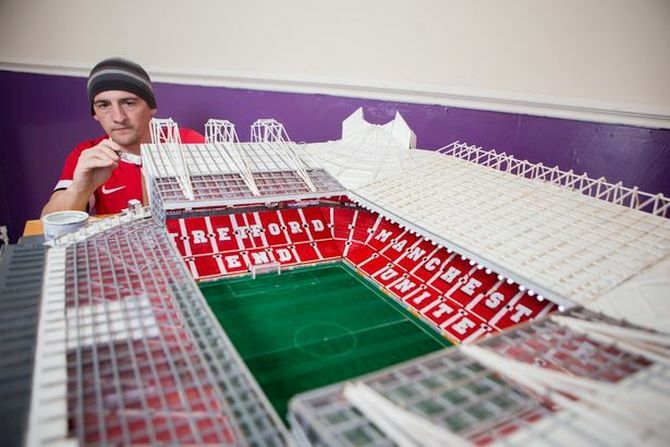 The self taught Manchester United fan studied dozens of pictures of the stadium to make sure everything is in right place. He used miniature LED floodlights and stickers to show pitch-side sponsors and tiny pots of enamel paint to turn the model all red and white. 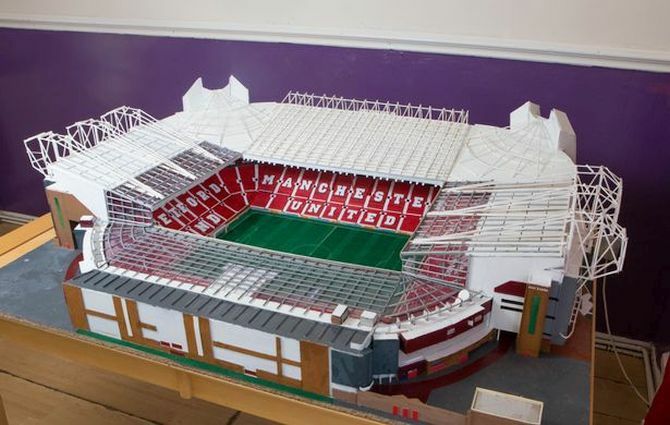 The perfect replica of the stadium also features an image of Sir Alex Ferguson outside the main entrance of the ground. 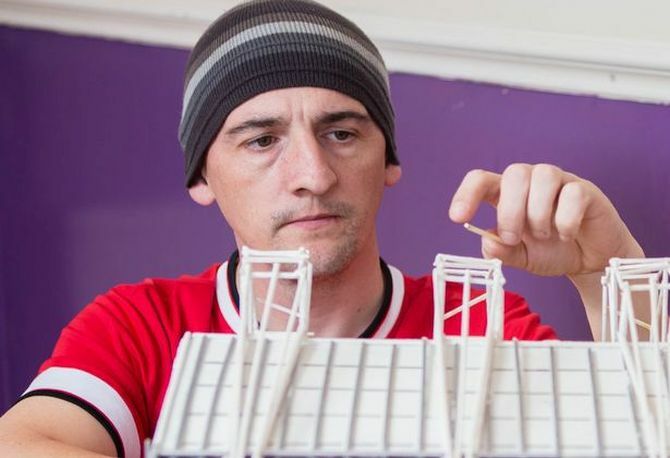 Well, if you loved the replica of Old Trafford stadium and are also a diehard Manchester United fan, you can gets your hands on the model as Chris is now selling it on Gumtree.